Mae Sot is a city in western Thailand sharing a border with Burma to thewest . It is among the most culturally diverse cities in the whole of Thailandwith both Thai and Burmese cultures vibrant. The town sits at some 590 km fromBangkok and is becoming more and more notable as a trade hub. It is a shoppingparadise for jades and gems and by visiting the municipal market, you willenjoy a collection of unique items of Burmese cultural significance. Getready to be spine tingled by the stunning scenery of mountain ranges as well asthe famous Thi Lo Su waterfalls nearby. Visitors also get to visit the highlyrevered Phra Jaow Tan Jai and the stunning Photikhun Temple. Not to mention theincredible jungle trips, elephant rides, and water rafting. What’s more?, youwill also get to indulge in the Ghost star dance festival, a popular traditionshowcasing the rich local culture. Mae Sot Airport is located at just 3 km from the town centre. Nok Airoperates three daily flights between Mae Sot and Bangkok. You can also choose to travel by bus or car. Gettingaround the town is pretty simple but for ease and comfort, both locals andtourists prefer to rent a car and four wheel drives. With a personalcar, you will be able to cruise around with liberty both in and out of thetown. Currently, the best option is the Rent a Car Club company, available not only in Mae Sot but also in all themajor cities and towns in the country. Rent a Car Mae Sot club offers premiumservices with a wide array of vehicles that will undoubtedly meet all yourtravel needs as well as taste. The range of cars include 4x4s, SUVs, sedans,convertibles and more. 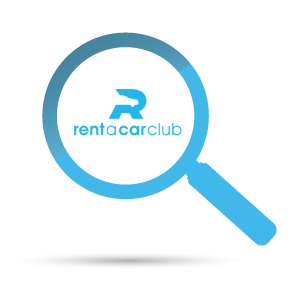 The booking process is simplified and by simply visitingthe Mae Sot Rent a Car Club official website, youcan easily access their services. Upon clicking the booking section, you willbe prompted to select your pick up location from the resulting drop-down menu.Be sure to input your proper start and return dates so as to get the rightbilling. With car rental Mae Sot, making a booking is made easier and what's more, by redeemingyour promo code you will get discounted prices.